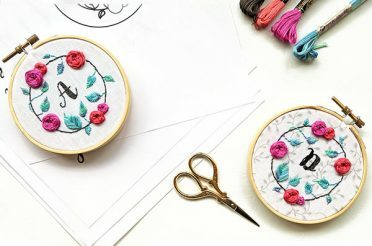 Washing cross stitch and embroidery projects is sometimes seen as a difficult, or unnecessary task at the end of a stitching project. So why should you wash your projects? 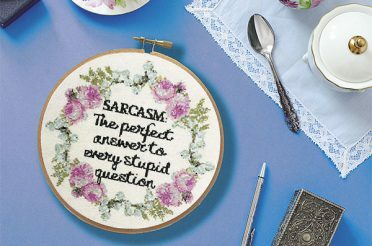 Washing cross stitch removes the oils that have accumulated in the floss and fabric from your hands. 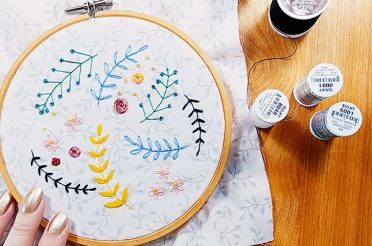 No matter how clean your hands are and how many times you wash your hands while stitching, they will still leave invisible oils on the floss and fabric. If you don’t remove these oils, then eventually that will contribute to your stitching deteriorating and going yellow far faster than it otherwise would. That’s why museums use gloves when handling archival products like old artwork — any extra oils from their hands would accelerate the artwork’s degeneration and brittleness. 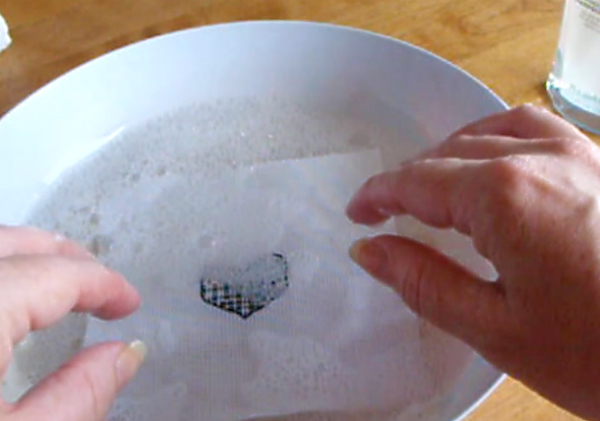 So not only is washing cross stitch really important to extend the life of your finished piece, it’s also very quick and easy to do as the video below will show. 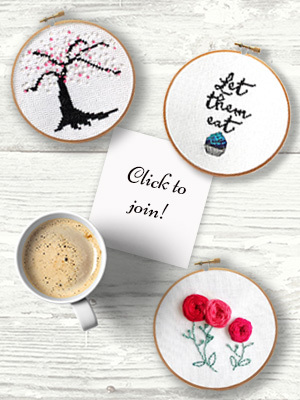 The video shows the samples of my Blackwork Heart free cross stitch pattern — if you’d like to access this pattern and the rest of the other free cross stitch patterns from Peacock & Fig, click the image below! 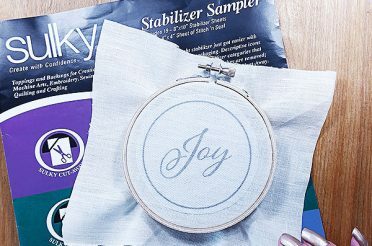 Washing cross stitch and embroidery projects is sometimes seen as a difficult, or unnecessary task at the end of a stitching project. So why should you wash at all? Hi Dana. A very helpful tutorial! Just wondering how you might wash/dry a piece that had beads in it, especially if they’re likely to lose colour? Thanks! Hi, I was wondering if I should use a bath tub to wash a 20 x 24 Aida 14 count project? Or do I wash it in the washing machine on gentle cycle? What would you recommend for such a large piece? Hi Dana, thank you for all the tips! 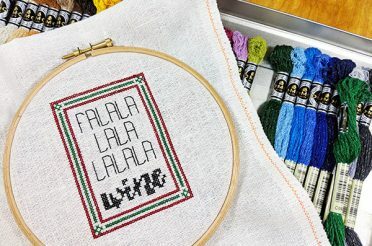 Would Eucalan be good to use to hand wash a finished cross stitch? Hello, I am wondering if you have any tips to reviving the look of a satin stitched area after hand washing the embroidery piece? It doesn’t seem to be as nice and puffy as it looked before washing it. It looks sort of flat and even a bit wrinkly (even after ironing the fabric from the backside). Thanks! 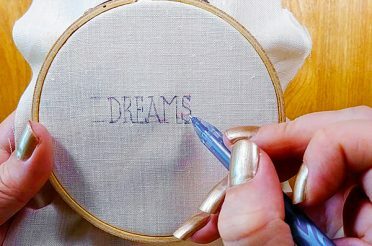 Hi, I am doing my first ever large cross stitch and using a rotating frame. Where I have had to move the fabric to do a lower part I have a dirty line across the white fabric. Should I wash the material now before I finish to prevent the dirty getting ground in or will it all come out at the end? By the way the end is about 6mths away still, based on my time planning to have it finished in time for a birthday in November. Thank you so much for your quick response. I will give that a try. Thank you for your tutorials and videos. They are very well done and I have picked up some good tips. 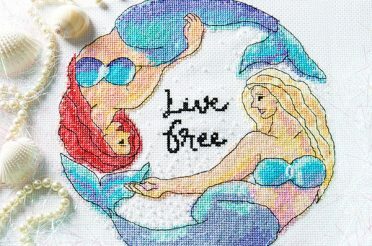 I have just gotten back into cross stitch after about 30 years and I am working on a very large project ( 21″ X 30″) I have always gotten my pieces dry cleaned in the past and have never had any problems, however, with this piece being so large with hundreds of hours poured into it, I’m a little nervous to do either washing or dry cleaning. Obviously I need to do one or the other and was wondering what your thoughts are on dry cleaning verses washing. I would like to know if washing my gramdmothers needlepoints after 40 or so years is a good idea. They are very dirty and sppted from years of being on walls and stored in attic. I do not know if they thread will bleed. Any suggestions or if i should just leave them as they are. 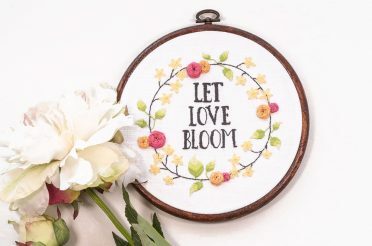 Do you do this for large pieces as well? I am working on one (the largest I have done) that will be about 8.5 x 11 finished and about 40 colors. 2/3 of the pattern is reds (DMC floss). I’m nervous to wash it at the end and have the reds bleed or otherwise ruin the piece. Thank you! Hi Jenni! Yes, you should wash any project when you finish it, the exception is hand-dyed fabrics and floss may run (or if you’re using unknown floss like from a Chinese kit). DMC floss is colourfast, it won’t run. If you want to test that before washing your whole piece, get a scrap of fabric, stitch a few stitches in the same red on it, and soak it for 10-15 minutes. If it doesn’t run, your bigger piece will be ok too. 🙂 You can also use things like a colour catcher when you wash your fabric, then any dye that does run gets caught in that and not into your fabric and other floss. loved this tutorial! Thanks! 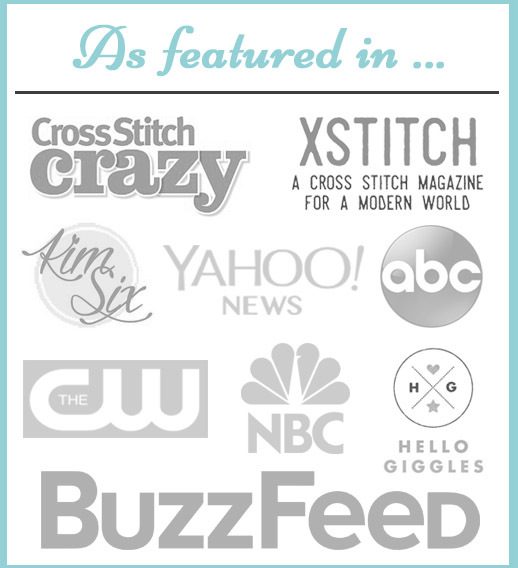 Just wondering what you recommend for hand dyed floss such as Weeks Dye Works etc. I have had them bleed quite badly and been very disappointed after working so long on a piece. Thanks for the tutorial. It’s exactly what I needed, right when I needed it!